When the 80-member delegation heads to Phoenix Feb. 23-25 for the regional V Encuentro, they may be the least known trailblazers ever to emerge from the Diocese of Tucson. Dominican Sister Gladys Echenique said Jan. 9 that she sees the upcoming meeting as the fruit of many of the Diocese’s Hispanic Ministry efforts. 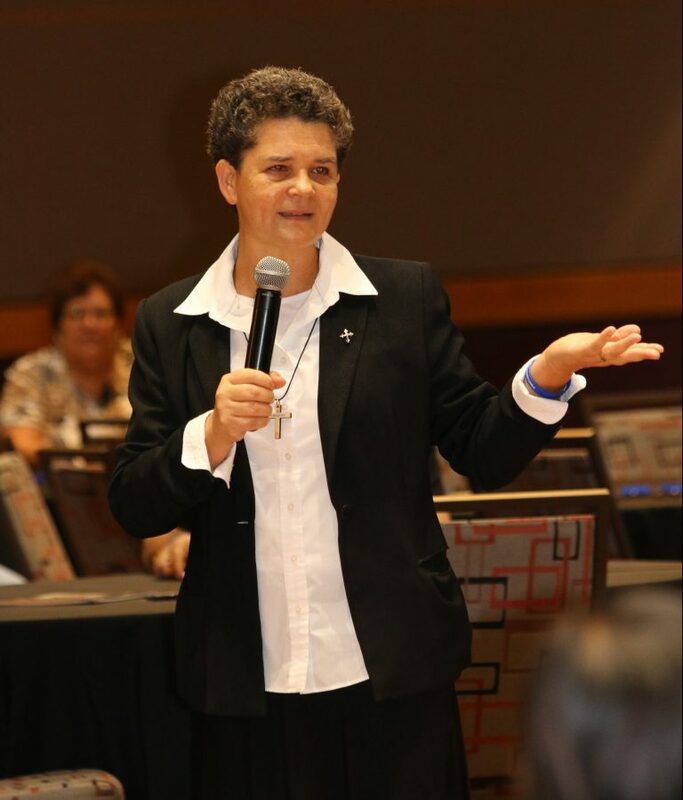 Hired in 2012, Sister Gladys proposed and wrote a pastoral plan for Hispanic Ministry, which led to an expansion of faith formation among Hispanic leaders. Prior to 2015, when the plan was implemented, there were 178 Hispanic leaders at Level I certification – a catechist level – and none at Level II. Since then, the number of ministers certified at Level I has swelled to nearly 400, with another 110 now at Level II. Every member of the delegation traveling to Phoenix is trained at Level I or higher, Sister Gladys said. 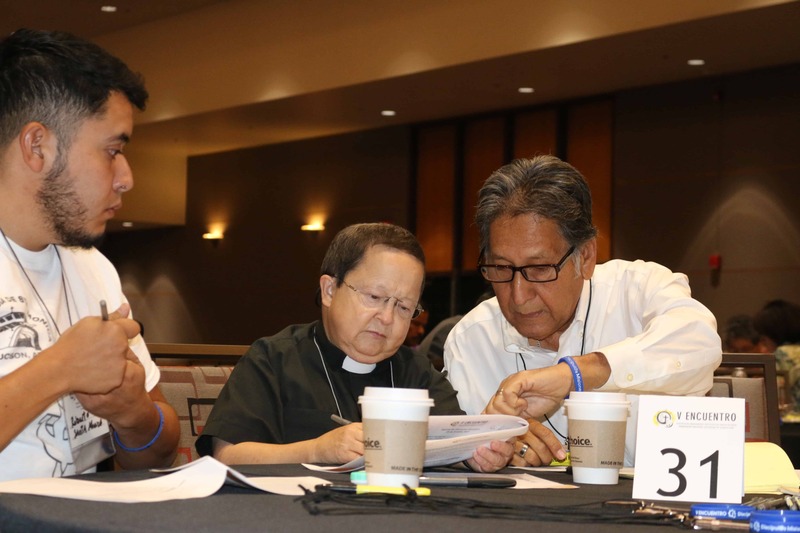 Sister Gladys and Hispanic Ministry directors from other dioceses in the region were asked to present reports to the Region XIII provincial meeting of bishops in Phoenix Dec. 19-20. The reports included diocesan developments in Hispanic ministry since 2012, and a summary of the V Encuentro findings to be presented at the regional meeting. 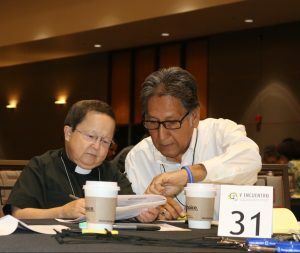 The current fifth Encuentro follows a series of national dialogues that began in 1972 when the US bishops recognized the need to reach out to the growing and vibrant Hispanic population in the Church. Encuentros in 1977, 1985 and 2000 brought the conversation forward as Hispanic Catholics grew in numbers and in leadership roles in the Church. Increased outreach to Catholics in remote areas of the Diocese and for those who feel “unwelcome” in the church. Teresita Kontos, a decade-long volunteer at Immaculate Conception Parish in Yuma, will be attending the regional V Encuentro and was excited by the reports from the Yuma-La Paz Vicariate, a region with a large Hispanic population. One of her ministries is for the pastoral care of migrant workers. “This ministry provides opportunities for evangelization to migrant and immigrant farmers, and it also encourages them to share their gifts and talents with their communities and places of work,” she said. It is this outreach to the “Iglesia en salida,” the Church on the margins, that she hopes will be one of the outcomes from V Encuentro, Kontos added. Oscar and Diana Harper are a Tucson couple that assisted several area parishes through the V Encuentro process. The Harpers also said that the challenge ahead is for continued formation that provides Hispanic leaders with the skills and knowledge to be leaders in the Church. Sister Gladys said that the best still lies ahead. 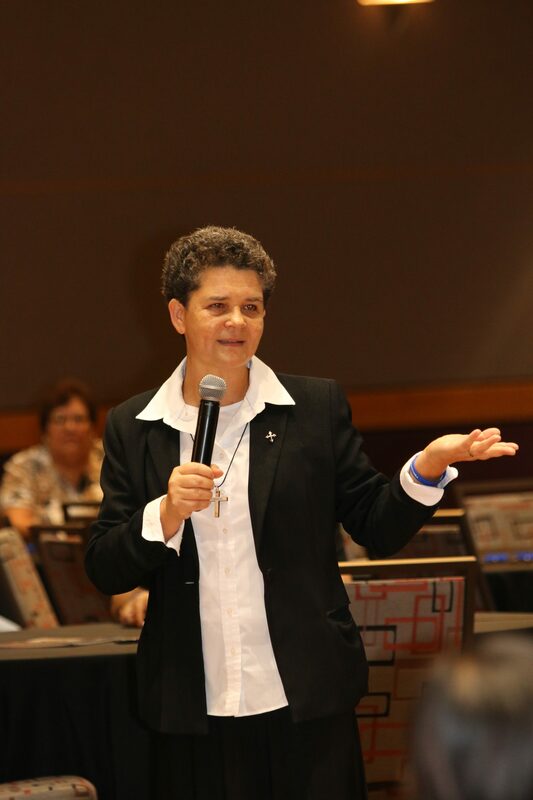 “Encuentro is not merely a single event, but an entire process that has been happening in the Tucson diocese, and in dioceses across the nation, for the past two years and extends from the initiative of the US bishops to integrate the Hispanic community to the bigger Church,” she said. 2018 © Article and photos by Michael Brown, Catholic Outlook, Diocese of Tucson.